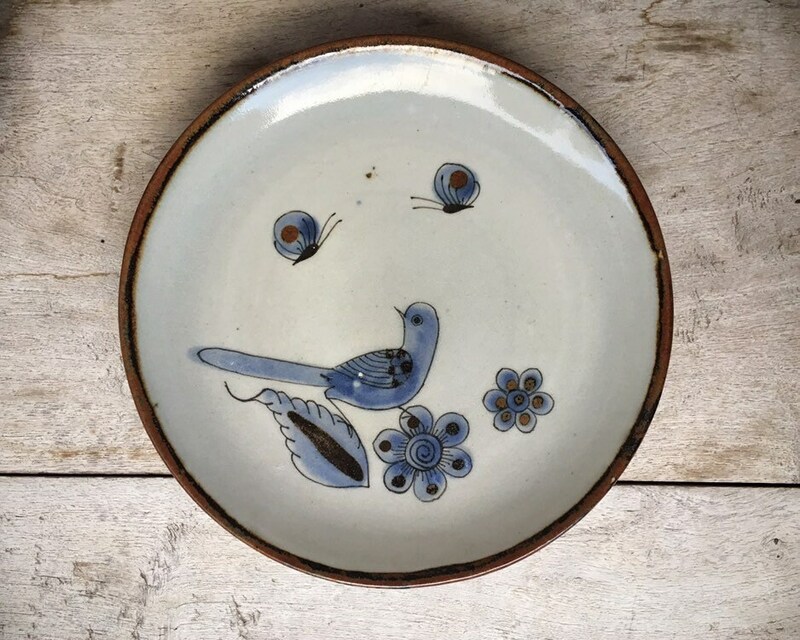 Wonderful Ken Edwards signed plate, likely made as a salad plates given the size and the fact that there is no mechanism for hanging. Features a classic Edwards' design: the blue bird and butterfly, and in this case communing and having fun with one another. 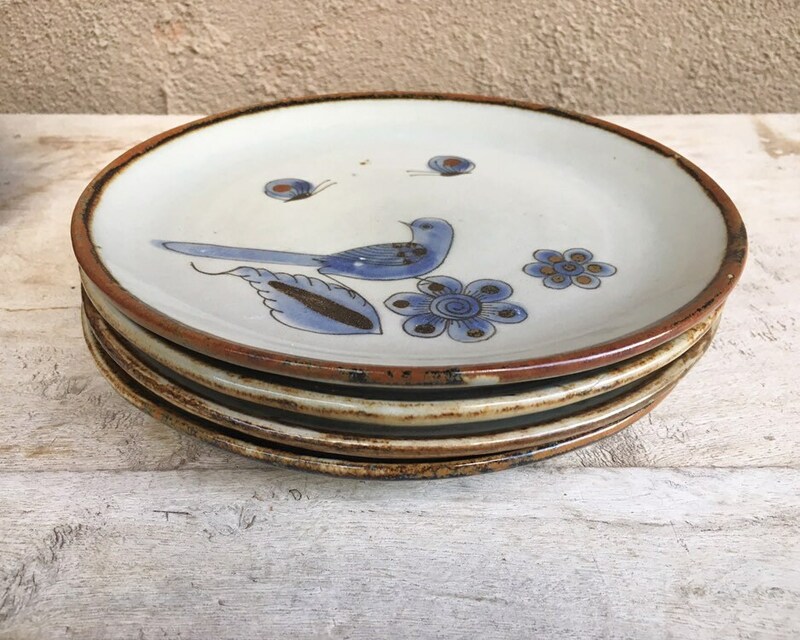 Edwards studied his craft in Japan, went to Mexico in 1954 and along with ceramicist Jorge Wilmot introduced high-fire ceramics to the Guadalajara area, starting in Tonalá. 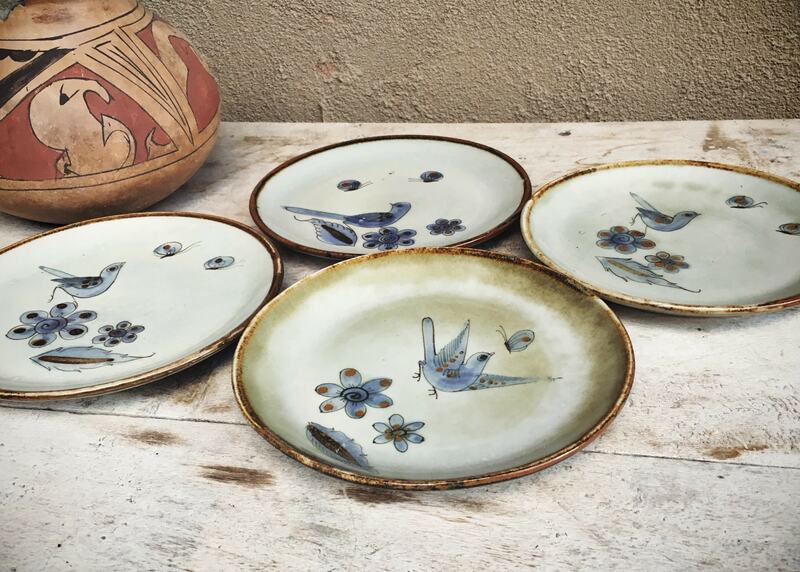 These are wares fired at over 1000C which vitrifies the clay and eliminates the need for lead-based glazes. Wilmot mostly kept local traditional designs although some Oriental influence is mixed in as well, along with Asian glazing processes. Edwards introduced new designs with the techniques. 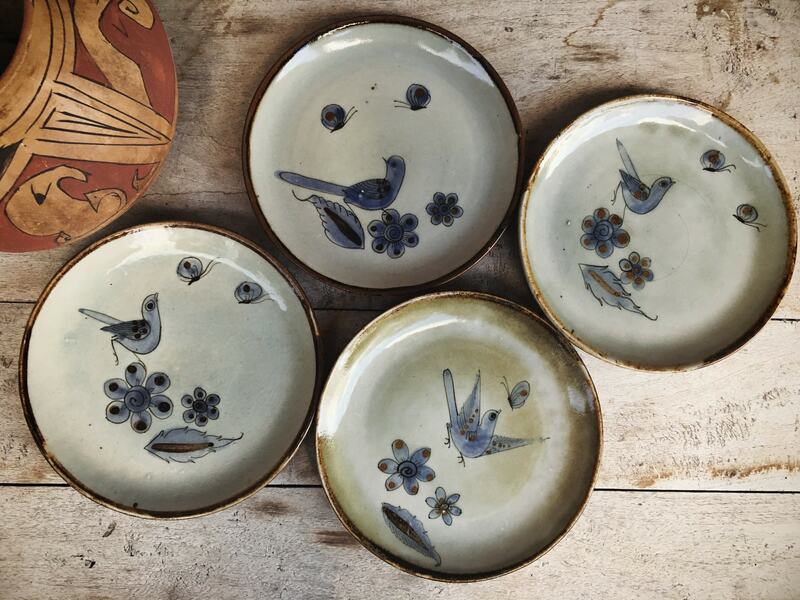 He makes his stoneware out of special clay. Edwards' studio was El Palomar, famous in Tonalá, Mexico, and it still is in operation. Quite special to find pieces with the KE signature. Edwards would be in his 90s now, and my last research showed him living in Guadalajara. 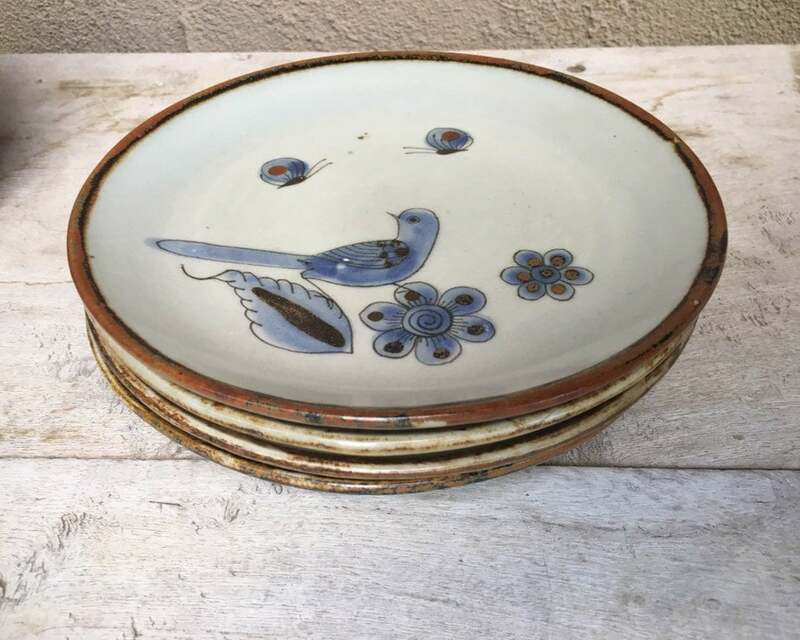 This small plate measures just under 8" in diameter. No cracks nor chips although there is crazing on the surface. If you choose to display you will need to use a plate hanger or set on plate easels, as there is no hole in the back for hanging. Because beauty and whimsy and that's enough!